There is nothing like the fragrant aroma of bread baking in the oven and it is actually simple and easy to do. There are only six ingredients for these french baguettes, most of them common pantry items – water, sugar, yeast, flour, salt, and cornmeal. When it all comes together, the dough requires kneading, which is one of my favorite parts of baking bread by hand. I love the feel of the dough as it turns from a sticky, squishy mess to a soft, smooth ball. It does takes at least 10 minutes of kneading and a couple of hours for yeast breads to rise and double, but the effort and wait are well worth it. 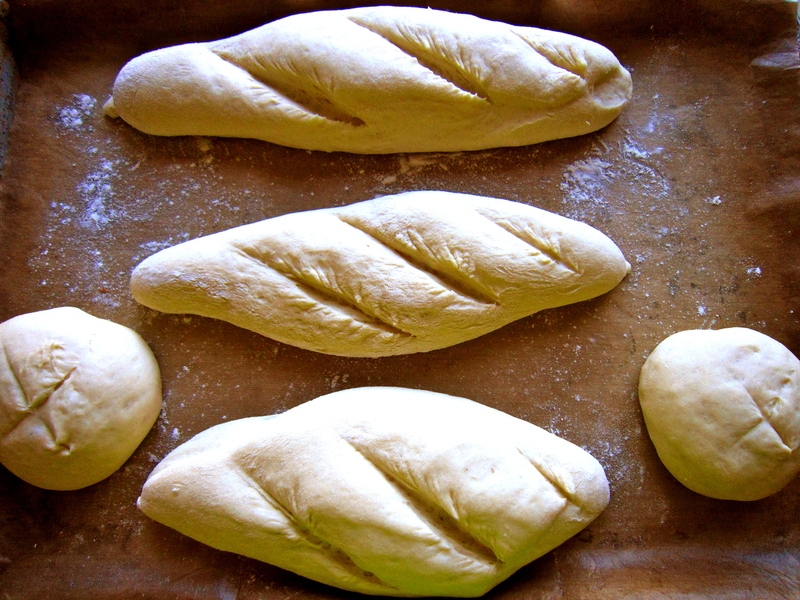 The resulting baguettes are crusty on the outside and soft and on the inside. Slathered with butter, it is absolutely delicious! 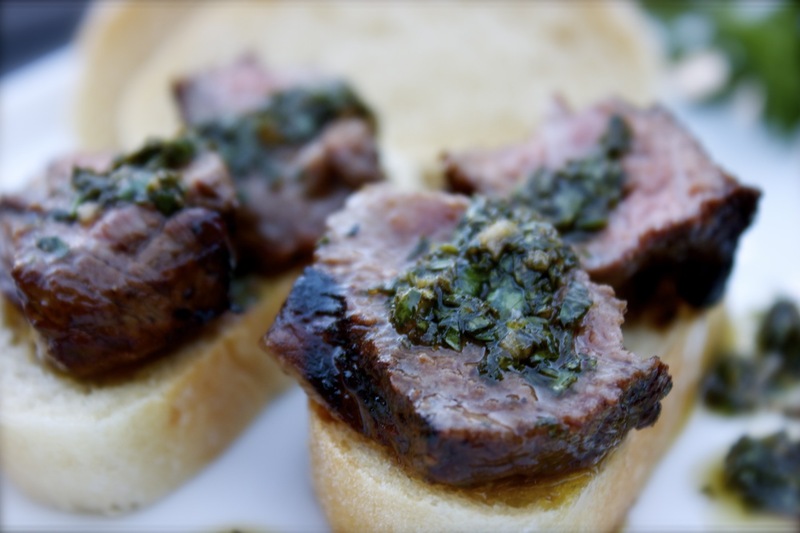 Here’s my serving suggestion for the baguette – Sirloin Steak Crostini with Chimichurri Sauce, adapted from Martha Stewart’s Sirloin Kebabs. Chris made a half batch of the Chimichurri Sauce and marinated a little piece of steak so we could taste test the recipe before serving it to Paul and Tracey for dinner tomorrow. Chris grilled the steak perfectly and my homemade baguette soaked up all the tasty olive oil from the Chimichurri Sauce. Absolutely delicious! I hope Paul and Tracey will enjoy it, too.